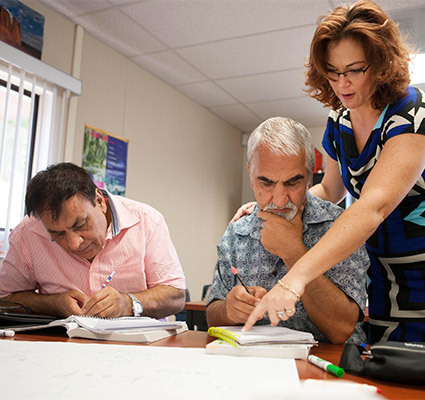 Each ESL class is designed to develop the four basic language skills – speaking, reading, writing, and listening. The classes integrate grammar and vocabulary with basic skills instruction to meet your needs in the areas of employment, health, housing, banking, and nutrition. Knowledge and practice of English skills such as writing personal information on simplified forms, basic letters, numbers, and reading are also introduced. ESL classes are offered in levels from beginner to intermediate and advanced. Our counselors will help you determine what level is right for you. Develop your fluency in English in a fun and friendly environment. Practice conversational skills in routine social situations with other students while building confidence in your ability to understand and speak English in everyday life. Watch our ESL Program Video here.